Contrary to what other people think, hypnosis is not about putting a subject under a spell of sleep and then waking them up just to do as you desire. It’s actually a lot more than that and the best part is that in order to hypnotize people, all you need to do is to be more attentive, alert and focused. 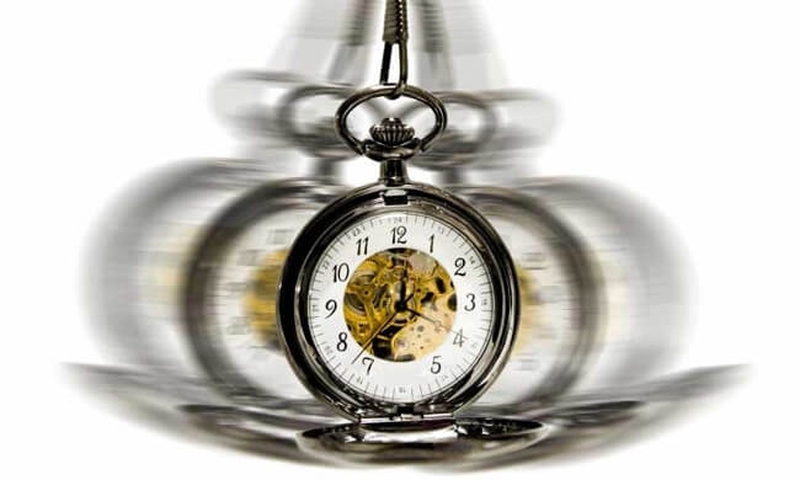 Now there are two types of hypnosis – traditional, the one done with a pocket watch or by professionals and where permission from the subject is required, and covert hypnosis, conversational hypnosis that can easily be done on any day, on any subject and at any time of the day, where permission is not required. Here we mainly focus on the later one. The only way to do so is by getting their attention. How you do that is completely up to you. Initiating a conversation and slowly building a rapport is usually the best way to go. Keep in mind that eye contact is of great importance – the more contact you maintain, the more honest and straightforward you will appear, thus making them trust you more. We humans are creatures of habit. Rituals and repetition of actions and behaviors comfort us. What you have to do is to interrupt that pattern so that the mind of target gets momentarily confused. For example, if you’re used to shaking hands with someone you meet on a regular basis, just this once, opt for a fist bump. And it’ll take them the first 2-3 seconds to understand what’s happening, you can use this opportunity to give them your command. Surprised? Were you expecting some exotic keywords? Well, the truth is that these words create linguistic bridges, which have often shown to activate one’s conscious mind. With the words “imagine” and “remember”, they activate the creative side of people's brain, forcing them to crate scenarios in the head. Or at least, as many as you can, because the more senses are engaged, the easier it becomes to hypnotize your subject. For this, you need to be as descriptive as possible and sometimes, even creative to catch people’s attention. Remember your favorite book as a child, and how the food items mentioned in it made your mouth water, even though there was not a single picture of those items anywhere in the book? That’s the power of description. Let me share an example. Let’s say you said, "Now, close your eyes and think of anything but a red chair". What is the subject you are going to think of? A red chair, of course. Now, this makes it difficult for the subject to make up their mind about what to think, which is exactly the opposite of what you want. You need to have their undivided attention, and if half of their attention is going into deciphering what you’re saying, you have already failed. So avoid using negative words or commands at all costs, otherwise you will never know how to hypnotize someone successfully. Instead, you should use positive words and give descriptive and specific commands like, "Now, close your eyes and think of a room with comfortable light blue chairs, colorful flowers and warm sunshine". In essence, it means that people are more likely to remember or keep tab of unfinished tasks than finished ones. For example, if you let your clothes to dry outside and it is predicted to rain, it will be at the back of your mind to rush home as soon as you can so that you can take your clothes inside so that they don’t get wet in the rain. If your clothes are already inside, you won’t let the rain bother you, to begin with. Similarly, you can give your subject an unfinished task or share an incomplete story. So while he is trying to understand what to do with this half information, you can go ahead and use your hypnotic commands to hypnotize him or her. And then, very subtly, end your story or complete the task given to him. As already explained before, a confused mind becomes the perfect gateway to push your thoughts into a person’s mind, because that is when their minds are at their weakest. For example, you can say, "Hey Jeff, do you know what’ll happen if you don’t end up buying that raffle ticket?” Such a vague phrase will instantly confuse Jeff, whose mind will wander just long enough for you to pull out your cards. This is one very important tip on how to hypnotize someone without them realizing it. That’s because first of all, bragging doesn’t do you any good. It makes you look like a douchebag. And second, covert hypnosis is less about controlling people and more about nudging them in the direction you want them to go. Of course, the third and most important reason would be because when you tell people you’ve hypnotized them, they stop trusting you and in all probability, will end up avoiding your company.